there is nothing more important than a visit to a dentist." Pain defined as a complex, unpleasant perception associated with tissue injury or disease process is as old as mankind. Man has been curious to find relief from this problem. From the days of primitive man, finding solace from the running water to current computer era, one can notice the desperateness to discover an answer for this agony. It is in this process the concept of pain clinic arose in the modern era. In the era where man is bent upon conquering nature whether it is air, sky, deep sea or mountains, one contribution of nature has been defying him all through generations. That happens to be pain. Pain by itself is warning signal about tissue injury. Sometimes this symptom takes different course and becomes nagging and intolerable. 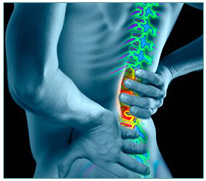 This particular pain of more than four weeks duration is called as chronic pain. To analyse and treat these kinds of problems, one would require a unit in the hospital and that is pain clinic. WHAT IS THE NEED FOR PAIN CLINIC? In current day clinical practice, the need for a pain clinic arises from the fact that pain of known or unknown origin is probably second in incidence to common cold.